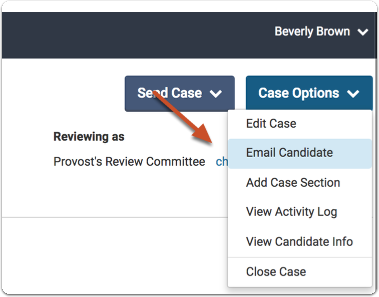 Administrators and Committee Managers can send candidates email messages from the Case page in Interfolio Review, Promotion & Tenure. 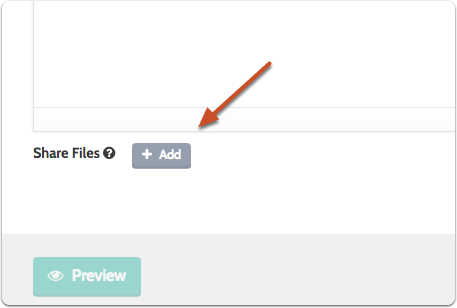 It is also possible to share files with the candidate and allow the candidate to submit a response/rebuttal to the files shared with them. 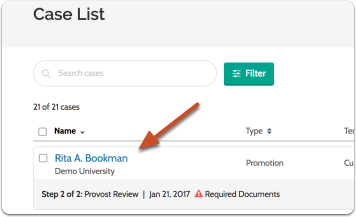 See here for detailed instructions on sharing case materials with a candidate. 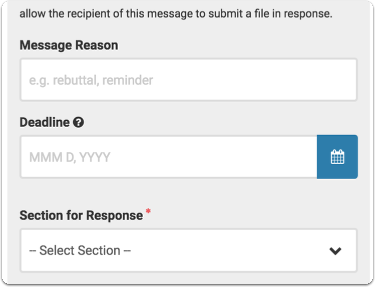 Click the "Case Options" menu at the top right of the page and select "Email Candidate"
Enter subject and message and click "Send"
The current return email address appears to the right of the form. 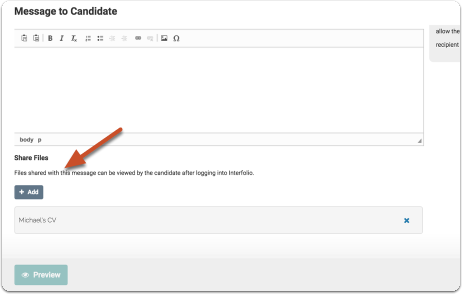 Click "Preview" to see how the message will look in the candidate's inbox. 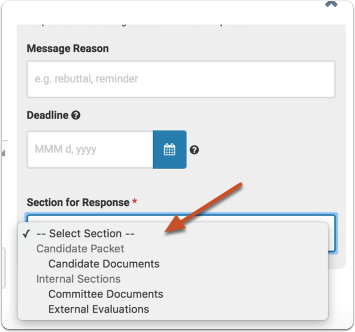 See here for more detailed instructions on sharing case materials and allowing candidate response/rebuttal. 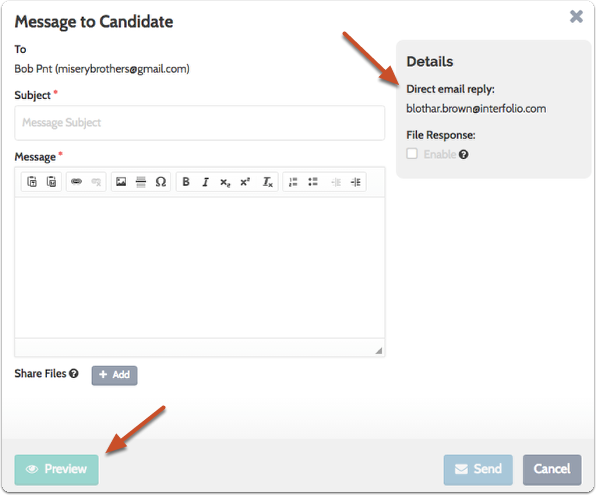 Candidate's will receive an email with instructions to sign in and view shared committee files. 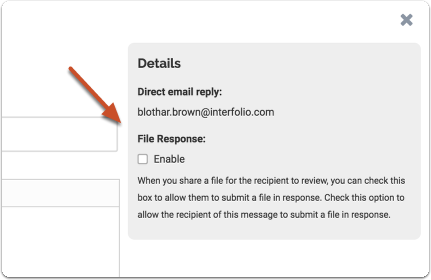 When an administrator or committee manager shares a file with a candidate and enables the option to submit a response, the user can set the response to post to any section when the response comes in.